geocached suprises and sponsored eggs. 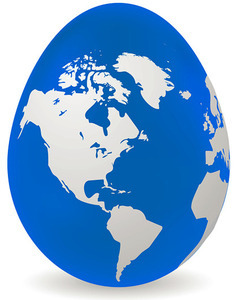 EGG's purpose is to encourage real-life social networks and the exploration of the immediate surrounding world. Users can create hidden surprises "eggs" by hiding an object (it could be a photograph, poem, gift card, anything!) and tagging the location. EGG was dreamed up by Steven Janak, lover of the real world and all things analog and beauitful. EGG functions similarly to a daily deals site but focuses more on discovery of new products, service and brands. Advertisers create geocached "deals" that display when someone enters the vacity of their business. These deals are displayed in conjunction with hidden surprises EGG users hide and receive. Many people familiar with EGG are non-stop travelers. They can help create and spread hidden EGGs in major locations around the us.